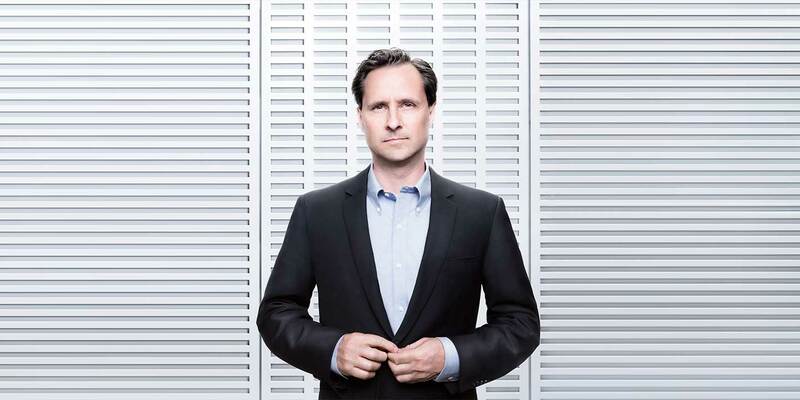 You’ll likely hear Hugh Herr before you see him. The charismatic leader of MIT’s biomechatronics research group wears two next-generation prosthetic legs, each barely visible under the cuff of his gray slacks, which produce a faint percussive buzz with each footfall, like the sound of a tiny electric drill. The sound serves almost as a leitmotif—you hear it, faintly, as he ascends the stairs to his office in the glass-and-metal MIT Media Lab or as he ambles across the stage during a lecture. Among futurists, Herr’s story is the stuff of legend. In the early 1980s, after he lost both legs below the knees to frostbite in a climbing accident in New Hampshire’s White Mountains, a doctor told him he would never climb again. Defiant, Herr used a local machine shop to hack together custom prostheses from rubber, metal, and wood. He designed a set of small feet that could find a foothold where his old pair would have slipped and a spiked set he could use to ascend the steepest walls of ice. He went on to become as confident a climber after his accident as he’d ever been before. This article originally appeared on Autodesk’s Redshift, a site dedicated to inspiring designers, engineers, builders, and makers. Continue reading the article: https://www.autodesk.com/redshift/hugh-herr-robotic-legs/. Photo Credit: Hugh Herr. Courtesy MIT Media Lab.